A look inside Anheuser-Busch's economic, environmental and cultural impact involved in operating a Jacksonville-based brewery where 99.6 percent of everything utilized in the manufacturing process is recycled. 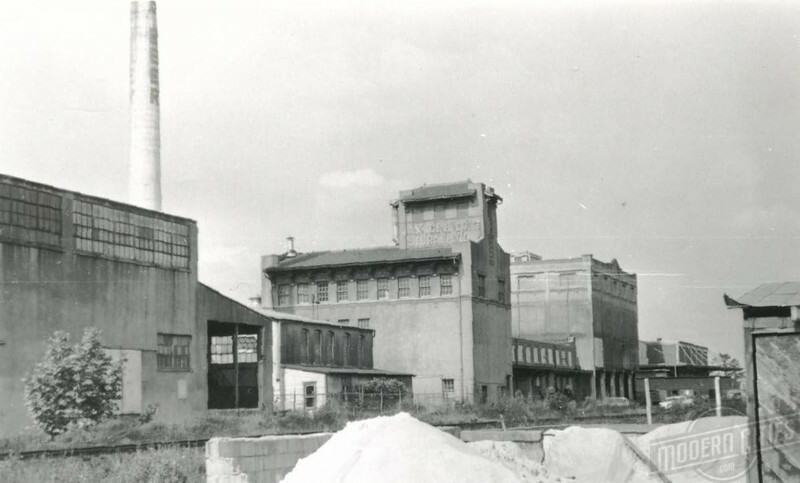 William Ostner’s Jax Brewing Company was the largest brewery to operate in Jacksonville before the 1969 arrival of Anheuser-Busch. Although Philadelphia was the first place in this country where lager beer was made, it wasn’t long before the brewing industry had discovered Jacksonville. As early as the 1870s, Philadelphia-based brewer Bergner & Engel was regularly sending refrigerated railcars, loaded with barrels of beer, to its West Bay Street depot in LaVilla’s Railroad Row. Bergner & Engel would cease operations during prohibition but by that time brewers in St. Louis had taken note of Florida’s gateway city. With assistance from his inlaws, the Schorr family of St. Louis-based Schorr-Kolkscheider Brewing Company, German immigrant William Ostner established the Jacksonville Brewing Company in 1913. Later called Jax Brewing Company, Ostner’s flaghship project, Jax Beer, a German-style pilsner, became one of the most popular drinks in the southeast. During Jax Brewing’s early 20th century heyday, the Durkeeville brewer was one of the city’s largest employers, churning out 200,000 barrels of beer annually. 60 years later, beer still means big business in Jacksonville and the rest of the country. According to the Beer Institute’s 2015 Beer Serves America Economic Contribution Study, an estimated 196 million barrels of beer are produced by more than 5,150 brewers in the United States annually. The same report states that in Florida there were 222 breweries with a combined direct workforce of 1,384. The lion’s share of those jobs are located in Jacksonville and a direct impact of another brewer with historical ties to St. Louis. A fixture in Jacksonville’s manufacturing scene since 1969, Anheuser-Busch’s third largest U.S. brewery produces 9 million barrels of beer annually. Anheuser-Busch’s roots date back to 1852 with German American brewer George Schneider establishing the Bavarian Brewery in St. Louis. In 1960, the operation was purchased by William D’Oench and German-born soap manufacturer Eberhard Anheuser. In 1869, Anheuser’s son-in-law Adolphus Busch purchased D’Oench’s share. In 1957, Anheuser-Busch became the largest brewer in the United States. Recently, Modern Cities was invited for a behind-the-scenes tour of the Jacksonville brewery with plant general manager Craig Tomeo, brewing business process manager Brittany Bass, and brewmaster Carl Belshause. Also included was a trip to the brewery’s tasting room for a five course meal developed by Riverside favorite Black Sheep, to pair local foods with various brands produced at the brewery and its Home Brew Club. Covering 1.4 million square feet, the manufacturing operations of the brewery are pretty impressive. Operating 24/7, the 205-acre plant site recieves regular shipments of raw ingredients by rail, accommodates 235 trucks each day and even includes its own natural gas power plant. Brands produced include Budweiser, Bud Light, Busch, Busch Light, Michelob Light, Michelob, AmberBock, Michelob ULTRA, Natural Light, Natural Ice, Shocktop and Landshark. 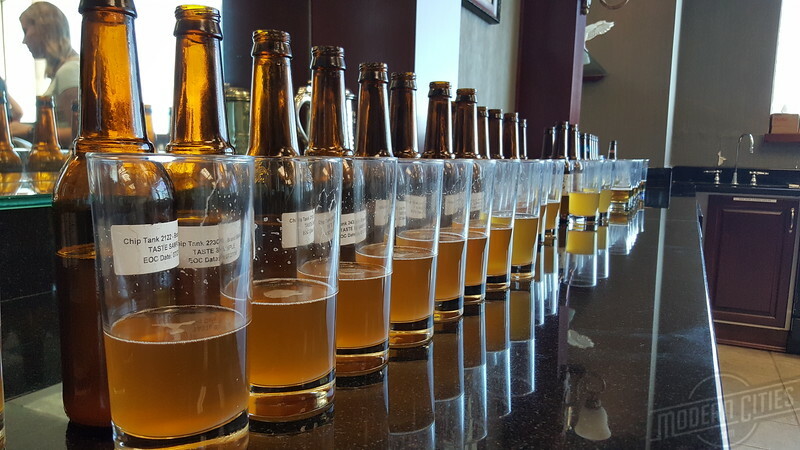 To ensure consistency, every product produced in the brewery is sampled every day at 3:00pm by staff. When asked how he found his way into the brewing business, Belshause, a millennial and Riverside resident of six months, responded “I’ve always been in manufacturing and always liked beer. So I found a way to put them together”. 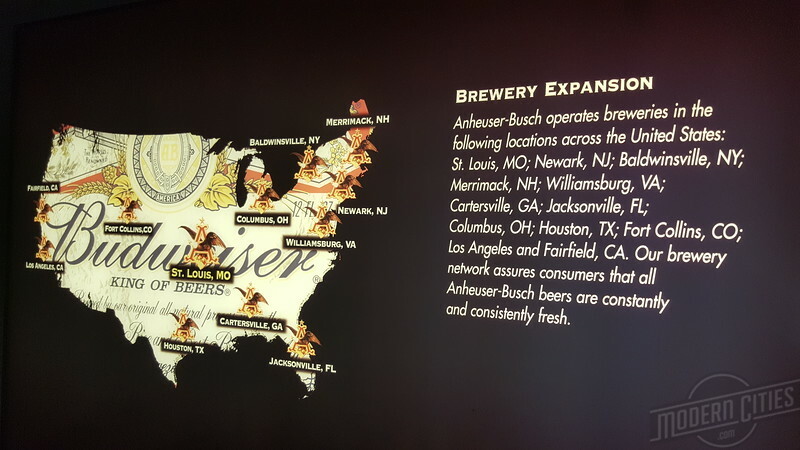 Anheuser-Busch’s economic and cultural impact on Jacksonville far exceeds the property lines of the facility that attracts 50,000 visitors a year with its offerings of free tours. Once beer has been brewed it’s sent to three bottle lines, three can lines and one draft line for packaging. As many as 125 million cases of beer are produced annually and 8.5 million cans of beer are filled daily and producing more than 125 million cases of beer annually. Cans are manufactured at the Anheuser-Busch’s Metal Container Corporation’s (MCC) plant in Jacksonville’s Westside. Here, machines and 200 employees turn 25,000-pound rolls of aluminum into cans. for Anheuser-Busch, Pepsi and Monster Energy. To accommodate the growing demand for beer, Anheuser-Busch is currently investing $175 million to expand MCC to produce aluminum bottles locally. 75 jobs will be created as a result. An additional $20 million is being invested in the brewery to package aluminum bottles that will be produced by MCC. 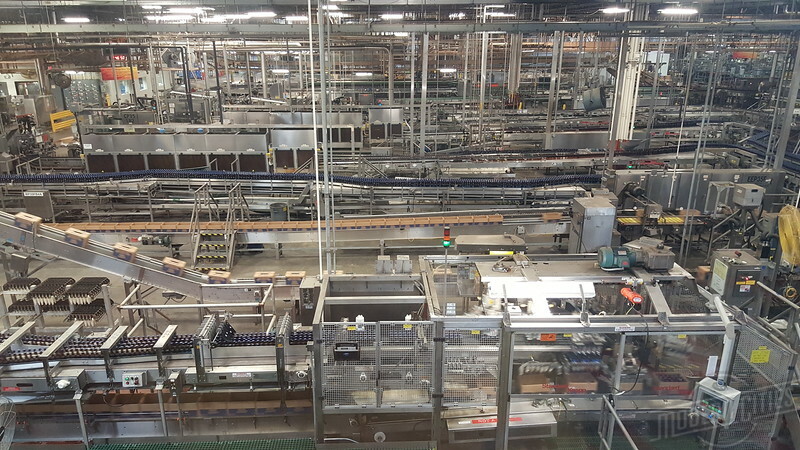 The brewery’s three bottling lines are supplied with bottles made by the Anchor Glass Container Corporation. A Jacksonville manufacturer dating back to 1926, Anchor Glass is Florida’s only glass manufacturing plant and the Anheuser-Busch brewery is its only client. Employing as many as 400 during peak production periods, it makes 2.7 million beer bottles a day. Cardboard trays and cartons are manufactured at WestRock’s massive mill in nearby Fernandina Beach. In operation for over 75 years, the Fernandina Beach plant employees 480 producing 900,000 tons of paper annually. Then there’s North Florida Sales and its workforce of 250 at its Southside operation near UNF. The company is Anheuser-Busch’s wholesaler customer in town, distributing the brewery’s beer to the local market. St. Augustine’s Burkhardt Sales is another wholesaler that services St John’s county. Also, the brewery is one of the Florida East Coast Railway’s major intermodal customers. As recent as 2011, the FEC has been recognized as Anheuser-Busch’s intermodal carrier of the year for providing nearly 8,000 shipments of beer to multiple wholesalers in South Florida. 99.6% of everything utilized in the brewery’s manufacturing process is recycled. Materials such as plastic, paper and metals are sold or given away to other companies. Rejected bottles and cans are recycled and its water consumption has been reduced by 50% over the last five years. 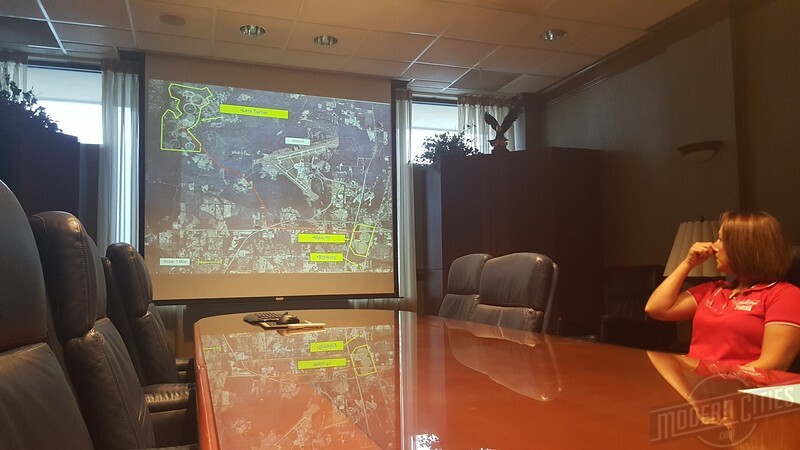 The brewery’s wastewater is sent via pipeline to two company owned Nutri-Turf Land Application Farms in the northside of town. Established in 1975, the 1,100-acres of farms water and fertilize soil, growing sod, hay and ocassionally corn for local livestock farms. The company is also known for being involved with community events and hosting special events on its pretty. Past events include Day Fresh with the Jacksonville Jaguars, Brew at the Zoo. At the plant, car shows are hosted around Memorial Day and Veterans Day and Oktoberfest is held the last weekend in September. If you’re ever on the Northside of town, management invites you to drop by for a tour or beer appreciation class to learn more about their Jacksonville operation. Free guided tours are available at Anheuser-Busch breweries in Jacksonville, St. Louis, Fairfield, CA, Fort Collins, CO. Jacksonville, Fla. and Merrimack, N.H. Visit www.budweisertours.com for more information, directions and hours of operation.